PODGORICA - Questions to the Prime Minister session was held earlier today at the Parliament of Montenegro, where Prime Minister Duško Marković faced the questions from MPs, Government of Montenegro stated. The Prime Minister spoke about the state of security in Montenegro, Montenegro’s attitude the initiative that is being interpreted in certain circles as an endeavor to create a “common market” and “customs union” in the Western Balkans and the process of our European integration. When asked by the parliamentary club of the Democratic Party of Socialists about the security situation in Montenegro, the Prime Minister said, among other things, that the state of security in Montenegro is at a satisfactory level, but he also referred to the situation that preceded the present one. “Our country has been exposed to serious political and security destruction, both internally and externally, for over a year and a half. The extent of the violation of the political system and the attempts to endanger the functionality of institutions and to discredit them, have largely blurred the image of a safe country and a stable social environment. Nevertheless, regardless of the challenges we are facing, as well as the sporadic feeling of citizens’ concerns, we can say that the security situation is at the required level, and that Montenegro is resisting and has sent a clear answer to everyone who has undermined it and tried to endanger it. The work of not only the police, which is predominantly responsible for the state of law and security, but also the Prosecutor’s Office, and other security institutions, also significantly contributed to this, as well as better coordination with other state bodies in the chain of justice and security. As you know, the most important security issues were considered by the National Security Council, and based on the conclusions of the Council, they acted successfully and operatively in those areas where the security and security of the state was reflected. We will continue with this successful practice. Here we should certainly mention the aspect of international cooperation, where our country is undoubtedly recognised as a credible and reliable partner, and where as a society we use serious benefits of the exchange of information and data, and based on that, we achieve serious results. The Ministry of Internal Affairs and the Police Directorate in the previous period have brought this kind of cooperation to the highest level,” the Prime Minister said. Answering the question of the club of MPs of the Bosniak Party, the coalition “Shqiptaret te vendosur – Albanians decisively” – Forca, DUA and AA and the Croatian Citizens Initiatives about the initiatives from the region, which are sometimes interpreted as the need to create a “common market” and the “customs union ” in the Western Balkans, Prime Minister Marković said that Montenegro began the EU negotiation process five years ago and that to date has opened 28 negotiating chapters out of 33, while 3 have temporarily closed. At the same time, the Prime Minister said, from the neighbouring countries in the region, only Serbia opened 10 negotiating chapters, while other countries of the region have not yet begun negotiations. “In parallel with this approach, Montenegro fully supports all activities that lead to the harmonisation of countries in the enlargement process with the requirements of the EU’s Single Market. In this context, the fact that we have recently closed negotiating Chapter 30 – External Relations, which determines trade policy towards third countries, speaks best about how European standards should be adopted. At the initiative of German Chancellor Angela Merkel on 28 August 2014, a summit in Berlin was held, attended by the prime ministers, foreign ministers and ministers of economy of Albania, Bosnia and Herzegovina, Croatia, Kosovo, Macedonia, Montenegro, Serbia, Slovenia, Austria, France, as well as representatives of the European Commission, during which the idea of closer economic integration of the countries of the Western Balkans was introduced for the first time. One of the key notes of the Berlin Process is that the objectives of the development of the Western Balkans region should be realised through clearly defined regional projects, with the financial assistance of the European Commission. This would strengthen the region in terms of infrastructure and bring it closer to the European Union, through a process that is complementary to EU membership negotiations,” the Prime Minister said. When it comes to the Western Balkans connectivity agenda, Montenegro is actively involved in the realiasationof the project in the field of energy. PM Marković said that various joint projects will be discussed at the region leaders’ summit in Trieste on 12 July. However, the Prime Minister added, various interpretations of the Initiative, such as the “common market” or “customs union”, are not real. “Although at the beginning of this year various interpretations and initiatives were registered on the occasion of further integration of the Western Balkan region, such as the creation of the so-called “customs union” or “common market” of the region, at technical meetings with the European Commission and the countries of the region, as well as the meetings of representatives of our Government and the European Commission at a high level, it is agreed that in the region we cannot talk about the unique customs or trade policy of the region towards third countries. 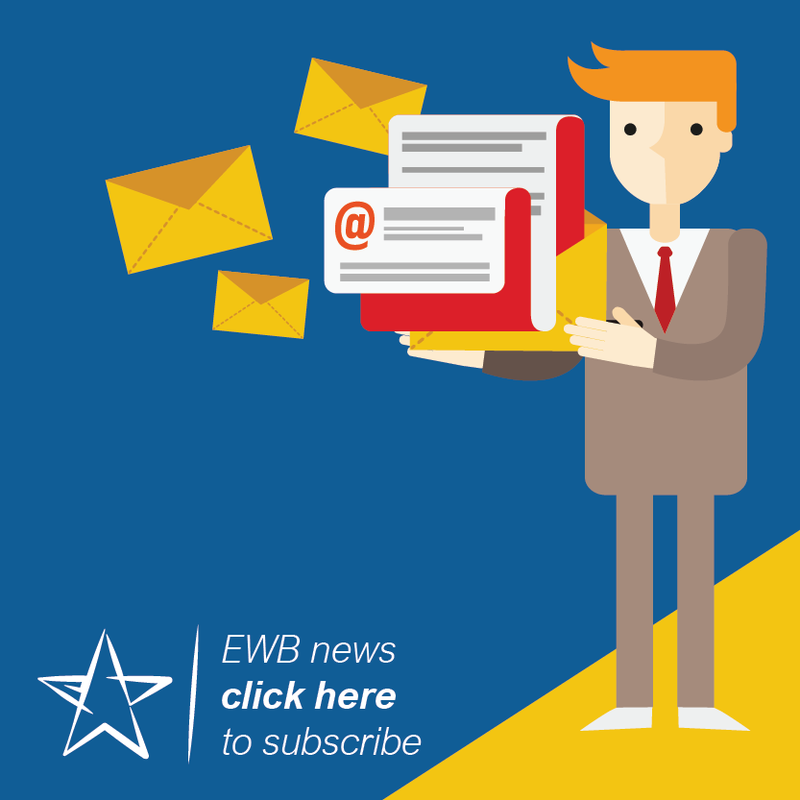 In other words, the initiative to establish a customs union and a common market in the Western Balkans is not realistic, since each of the Western Balkan countries is leading and harmonising its economic policy in accordance with the Stabilisation and Association Agreement with the European Union and its member states, taking into account the fact that not all countries in the regions are members of the World Trade Organisation. Thus, each of the countries of the West Balkans region as a member of the CEFTA continues to pursue its own trade policy towards all other countries, eliminating customs and non-tariff barriers in trade in goods and services with CEFTA parties, and continues removing barriers to investment in Western Balkan countries according to the CEFTA legislative framework. To be completely clear – exclusively in line with our strategic commitment, which is EU membership, the Government agrees with the strengthening of regional economic cooperation through the development of a regional economic area. This process can only be conducted in the existing legal framework, which consists of the Law on Ratification of the Stabilisation and Association Agreement between the European Union and its member states on the one hand, and Montenegro, on the other, and the CEFTA agreement, with the possibility of its expansion. In this respect, Montenegro’s view, which has been unequivocally communicated in meetings with the European Commission, is that the existing CEFTA framework is the only acceptable legal framework to further strengthen economic integration in the region and implement the Action Plan for the areas of trade, investment and mobility within 4 professions (dentists, doctors, architects and construction engineers). Other countries of the region also agreed. In that sense, the implementation of the Action Plan for the development of a regional economic area is possible through additional CEFTA protocols, without creating any new institutions or structures,” PM Marković said at the Questions to the Prime Minister session. 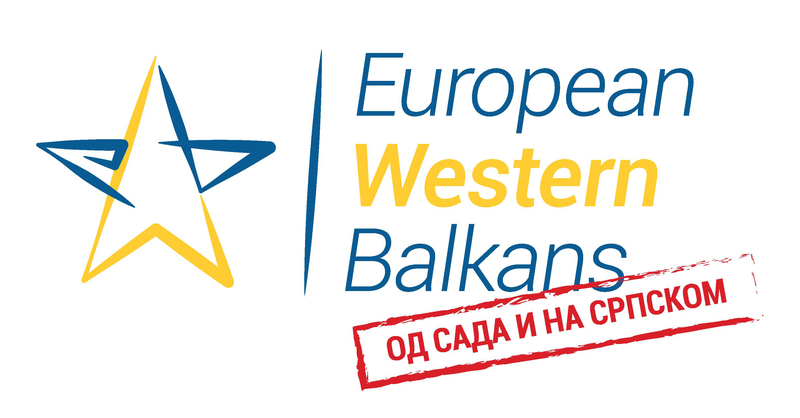 The Prime Minister added that the European Commission confirmed that the process of developing the regional economic area of the Western Balkan countries is not an alternative to the European integration of the Western Balkans, but rather a complementary agenda for the EU membership negotiations process of the countries of the region, which enables further elimination of barriers in cooperation between the countries of the region according to the established legal framework. “Montenegro has been recognised as a regional leader in European integration, and we will do everything to preserve this status and become full-fledged EU member in the optimal time,” the Prime Minister concluded. Answering the question of the club of MPs of the Social Democrats of Montenegro and the Liberal Party of Montenegro about our European integration, Prime Minister Marković assessed that tomorrow’s celebration of the fifth anniversary since the start of the EU accession talks demonstrates the progress we have made. “For the past five years, we have matured and advanced in the broadest social, democratic and institutional sense, we have learned a lot of lessons and managed to improve every segment that was included in our European agenda. Public administration has progressed both in understanding and skills to successfully negotiate, but more importantly, to implement European policies in a mature and responsible manner. The Government itself has made an additional incentive for the successful implementation of the negotiation process – today Montenegro has a Ministry of European Affairs, a special department dealing with these issues, but I already said it in one of the previous replies. For this reason, I am convinced that Montenegro will do everything in the domain of its institutions to complete the process of accession negotiations with the EU by the end of the mandate of this Government. This is certainly what we strive for since the first day of the negotiation process, and to a certain extent we have promised this to our citizens. Additionally, we are encouraged in our ambition by the recent statement by Commissioner for Neighbourhood Policy and Enlargement Negotiations Johannes Hahn that he expects new accessions in the period 2019-2024,” Prime Minister Marković said. The Prime Minister said that we are aware of the fact that the European Union today faces many crises and challenges that may require the transformation of its institutions and related policies, and that the community we are entering into is likely to be different than today, but regardless of that we are entering the phase of closing the chapters. “With 28 open and 3 closed chapters, Montenegro is leading the countries that are in the enlargement process, and this is the information that many European and non-European officials reiterate with respect. The fact is that today, in many democratic and economic segments, we do not differ from many member states! We have submitted 30 negotiating positions, and I expect that the Government will adopt the 31st position tomorrow, while intensively working on an another one, which gives us enough arguments to increase our negotiating balance by the end of the year. We note the internal readiness to open the remaining chapters by the end of the year and to close new chapters. In terms of the upcoming short-term dynamics, we expect to open negotiations by the end of the year in the remaining chapters where we have submitted negotiating positions (Chapter 2 – Freedom of movement for workers, Chapter 3 – The right to establish a company and the freedom to provide services), as well as those for which the positions are under construction (Chapter 17 – Economic and Monetary Union and Chapter 27 – Environment), and by the end of the year we are going to submit the last position for Chapter 8 – Competition, where we are working on fulfilling the remaining initial benchmarks. And I hope that one of these benchmarks will be on the Parliament’s agenda soon. During the lasest Intergovernmental Conference, besides the opening of two new chapters, we started the process of closing certain chapters with the final benchmarks, by closing Chapter 30 – External relations. We almost completed the process of opening chapters and started a new phase of their intensified closure. Although already mentioned, I would like to emphasise that we place a special focus on the negotiations in chapters 23 – Justice and Fundamental Rights, and 24 – Justice, Freedom and Security – where our expectations are to achieve internal readiness in the sense of fulfilling 83 interim benchmarks. It is precisely in this area that the dynamics of the reforms were at its peak, with the adoption of more than 60 reform laws, establishment of several new institutions, clear and visible balance of results achieved in the implementation of reforms. The new approach provides the necessary incentives for further progress in the negotiations,” the Prime Minister said. The Prime Minister said that research shows that 76% of citizens support membership of in the EU and that, therefore, opposition members should be active in this process. “Bearing in mind that the process of European integration is in fact the process of the entire Montenegrin society and that 76% of citizens support EU membership according to research, I would be much more satisfied as the Prime Minister If I saw my colleagues from the opposition parties in this room today, as they also represent those 76% of the Montenegrin citizens who want Montenegro in the European Union. They need to contribute to the quality of reforms and participate in deciding on the most important issues in that process. Either way, we can be sure of one thing – the Government will do everything to bring together the capacities of the entire society, aware of the significance of their contribution to this process. 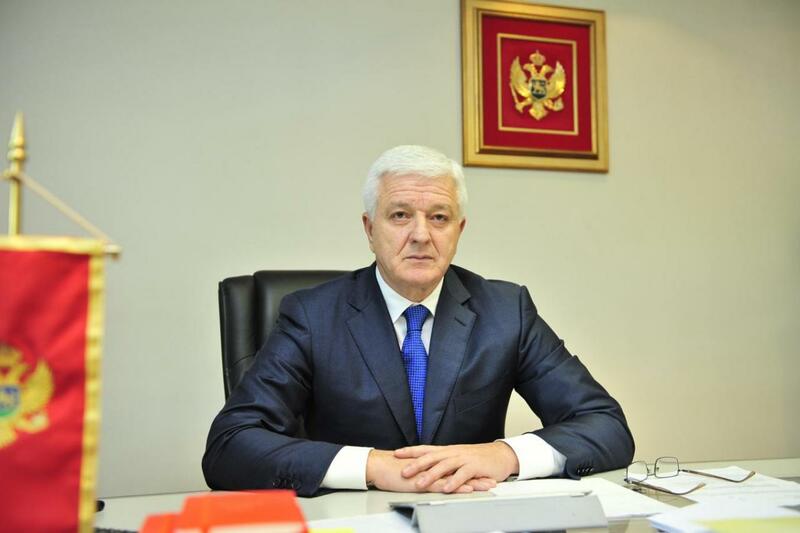 In cooperation with all branches of government, business community, civil sector, the media and all segments of the society, we will be carrying out the reforms in order to create a new future for Montenegro and our citizens,” Prime Minister Duško Marković concluded.